So you think the all-new 2015 Subaru WRX didn’t get many new features? Take a look here and see what Subaru added to the new performance model. Subaru unveiled the 2015 WRX in LA and it’s coming with a new lineup with new features for the three 2015 models. It made its global debut here in the U.S. which is Subaru’s largest market for the performance sedan. The new-generation WRX gets a number of new features and more room in the cabin of the performance model. Two major changes for the 2015 model will make driver and passengers more comfortable. It’s an inch longer which translates to more driver and passenger room. It also comes with wider rear door openings for easier in and out and enhanced utility. What will the 2015 WRX lineup look like and what will it include? Here’s a rundown of the standard features for each model. Subaru has not yet announced pricing on the 2015 WRX or delivery dates. To see more new interior features click here. For the new performance upgrades under the hood click here. To see how the new 2015 WRX compares to the 2014 Ford Focus ST, 2013 VW GTI, 2013 Mazdaspeed3, and 2013 Honda Civic Si click here. 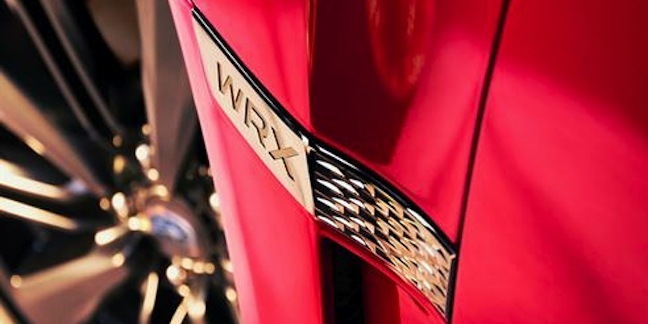 Stay tuned to Torque News for the latest 2015 Subaru WRX updates.